RM-HDE1 Reference Monitor 3G/HD/SD-SDI & Dolby® E Expansion Card. 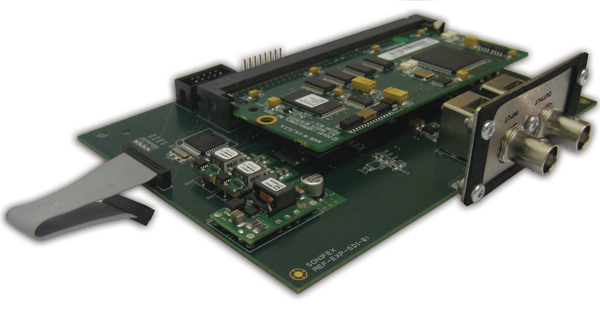 This expansion board allows the monitoring of embedded audio channels within an 3G/HD/SD-SDI video signal. The embedded audio can be either non-encoded linear PCM, Dolby® E or Dolby® Digital. Please note that the RM-HDE1 card is for use with the RM-4C8 unit only. The input is auto-sensing for either SD, HD or single link 3G input formats and the extraction of embedded audio complies with SMPTE-272 (SD) and SMPTE-299 (HD/3G). The SDI input is equalized, internally re-clocked and re-transmitted to provide a re-clocked output to pass to external equipment such as another reference monitor.